Am sure by now you are thinking if you read the topic right. Yes you did "MTN 7Gb for N2000". MTN Nigeria unveiled this plan this week, at the Africa's biggest tech event held in Lagos by Techplus. 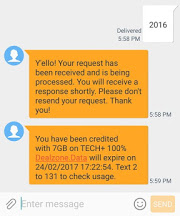 You will receive an sms saying You have been credited with 7GB on TECH+ 100% Dealzone. 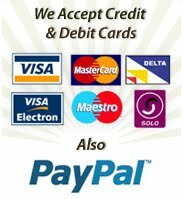 Hi Doziej84, validity is 30days. But information we got is MTN have stopped new subscriptions to the plan. Only those who subscribed earlier can use. See what they told me,Sorry!, this offer has been discontinued. Kindly dial *131# to enjoy more data plans from MTN.I know mtn can't keep up with such a plan. Maybe they think they will die. Let them better learn from Glo, the grandmasters of data. MTN WowWeekend Bomber offer!! 17.5Gb FREE! !